Hello lovelies, it's really good to bring a new review post for you! March was a busy month for me, that's why my lack of posts during those days, so I hope to post more often this new month! If you're following me on Instagram, you probably noticed that I'm in the new issue of the Glamour Brasil magazine (yay!) with my selfie for its 3rd anniversary, and with the magazine, I got this beautiful nail polish by Granado Pharmácias. 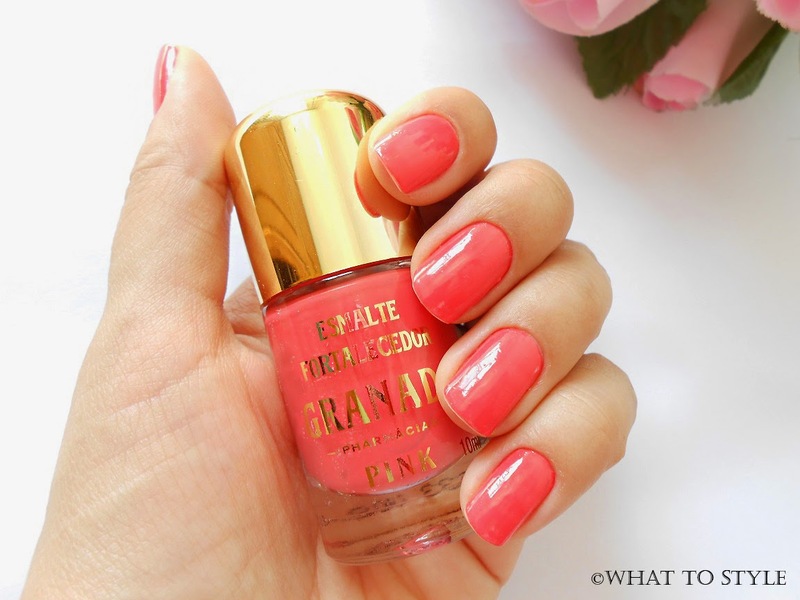 Created in 1870, this brand has since 2012 a range of fortifying nail polishes Pink, also anti allergic! This color I'm wearing is called Ginger - it's a rosy coral, and I just applied 1 coat. I felt that when applying the nail polish, the drying is fast and has a nice sheen, but to ensure that this glow will last, I recommend applying a layer of extra glow. It is pricey but it's good! That's it! Have a blessed and happy start of week! Olá amadas, é realmente bom trazer uma nova resenha para vocês! Março foi um mês agitado para mim, é por isso a minha falta de posts durante esses dias, então espero postar mais vezes neste mês novo! Se você está me seguindo no Instagram, deve ter notado que estou na nova edição da revista Glamour Brasil (oba!) com minha selfie por seu 3º aniversário, e com a revista, ganhei este lindo esmalte da Granado Pharmácias. Criado em 1870, esta marca tem desde 2012 uma linha de esmaltes fortificantes Pink, também anti alérgicos! Esta cor que estou usando é chamado Ginger - é um coral rosado, e só apliquei uma camada. 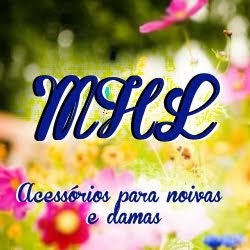 Senti que no momento de aplicar o esmalte, a secagem é rápida e tem um brilho agradável, mas para garantir que esse brilho irá durar, recomendo que aplique uma camada de extra brilho. É meio carinho, se comparado com outros esmaltes de marcas conhecidas, mas é bom! É isso! Tenham uma semana abençoada e feliz! such a beautiful shade! && i love you ring! This shade is perfect for spring. Thought the same! Congrats, Jessica! Such a honor to be in the new issue of Glamour! Thanks a lot for commenting on my blog! Following you on twitter and bloglovin! Love that shade, is so pretty ! Cute color. Thanks for sharing. This color is too amazing! Seriously love! Amazing color, Jessica. You have beautiful hands and gorgeous nails, girl. Wow this color is perfect ! i want it for spring ! This is such a gorgeous nail color! Beautiful choice! So pretty! Such a perfect Spring color! This color is gorgeous- so good for spring! That colour is super pretty!! I also love your ring! 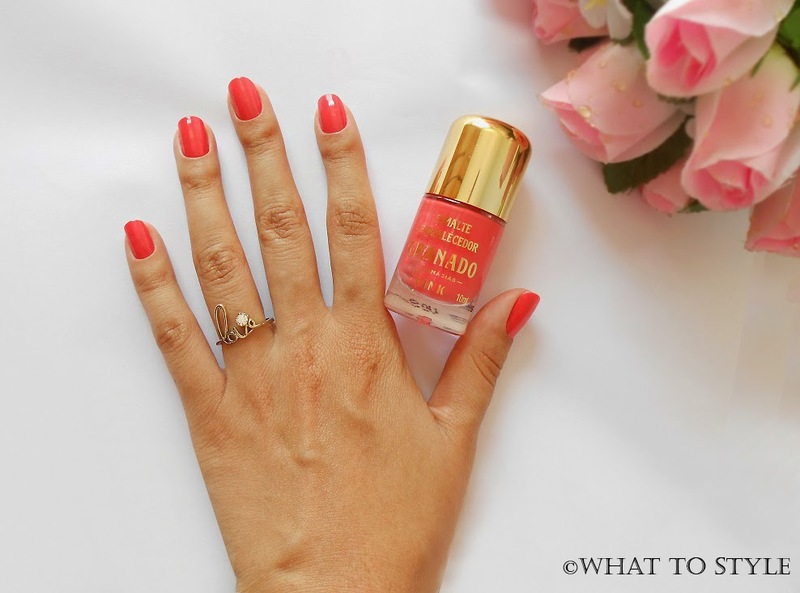 This coral polish is so pretty on your hands! Wowee, that is such a pretty colour! Adorei a cor, conheci os esmaltes da Granado no m~es passado e adorei, tanto a qualidade como a embalagem. Gorgeous polish color! I love it! This color is so beautiful. I love coral. I love this colour for the warmer months. 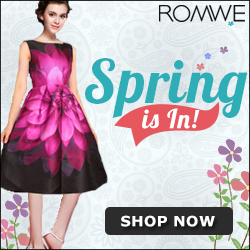 Looks lovely on you!